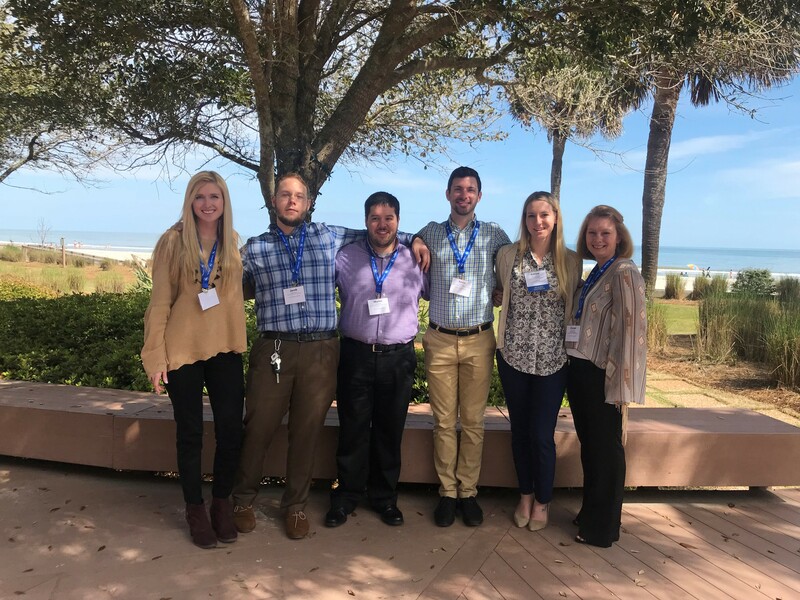 Six South University, Columbia Doctor of Pharmacy students recently attended a statewide conference. The students took part in the annual South Carolina Society of Health-System Pharmacist (SCSHP) conference. The event was an opportunity for students to attend sessions where researchers presented findings on a number of topics relating to pharmaceutical patient care and outcomes. Doctor of Pharmacy students Kevin Kelly, Christi Smith, and Ashlee Worthey made up the South University Clinical Skills Competition team, and came in second place against students from other pharmacy schools around the state. 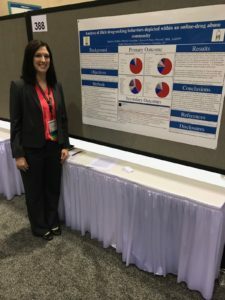 The conference also gave Doctor of Pharmacy student Rena Phillips the opportunity to do a poster presentation of research she did with faculty member Kenric B. Ware, PharmD, MBA, AAHIVP which involved an analysis of behaviors of illicit drug users in an online community. Philips says presenting the research at the conference gave her the opportunity to hone her presentation skills, while also getting feedback from professionals in the field. Programs, credential levels, technology, and scheduling options vary by school and are subject to change. Not all online programs are available to residents of all U.S. states. South University, Columbia 9 Science Court, Columbia, SC 29203 ©2018 South University. All rights reserved. Our email address is materialsreview@southuniversity.edu. See ge.southuniversity.edu/programoffering/2457 for program duration, tuition, fees, and other costs, median debt, salary data, alumni success, and other important info. South University, Columbia is licensed by the South Carolina Commission on Higher Education (1122 Lady St, Suite 300, Columbia, SC 29201, Telephone (803)-737-2260; www.che.sc.gov). Licensure indicates that only it is not an endorsement or guarantee of quality. Licensure is not equivalent to or synonymous with accreditation by an accrediting agency recognized by the U.S. Department of Education.